Real Room Pictures	.	.	.	.	.	. The 1st product sold in Space-up range is a standing up and dressing bed: a combined bed with sleeping space for 2 persons and a real dressing under the bed! 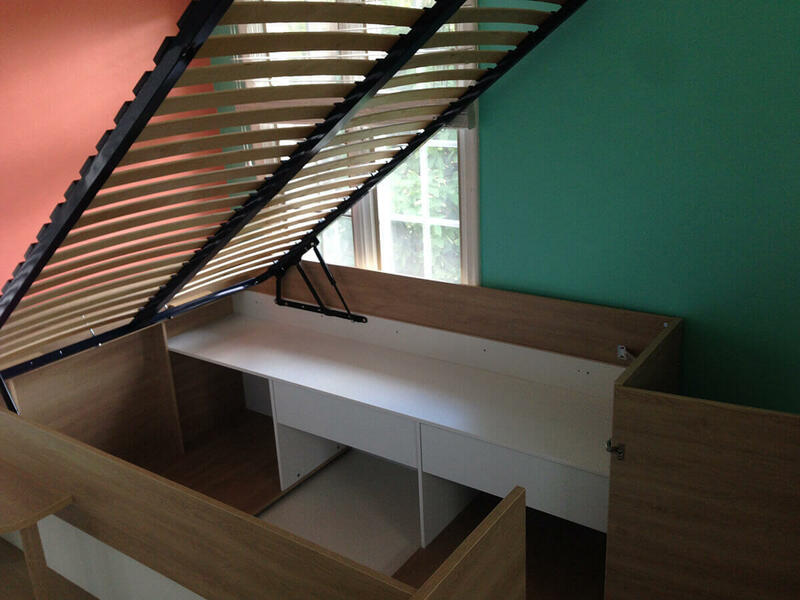 This bed is for young couple living in a small flat or for teenager looking for an original & functional bed. 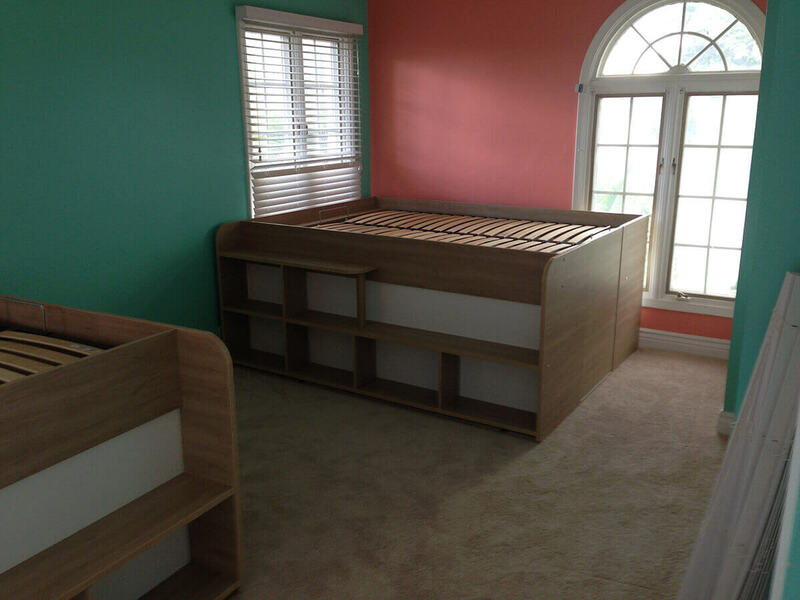 We are exclusive distributors of this bed in the USA! 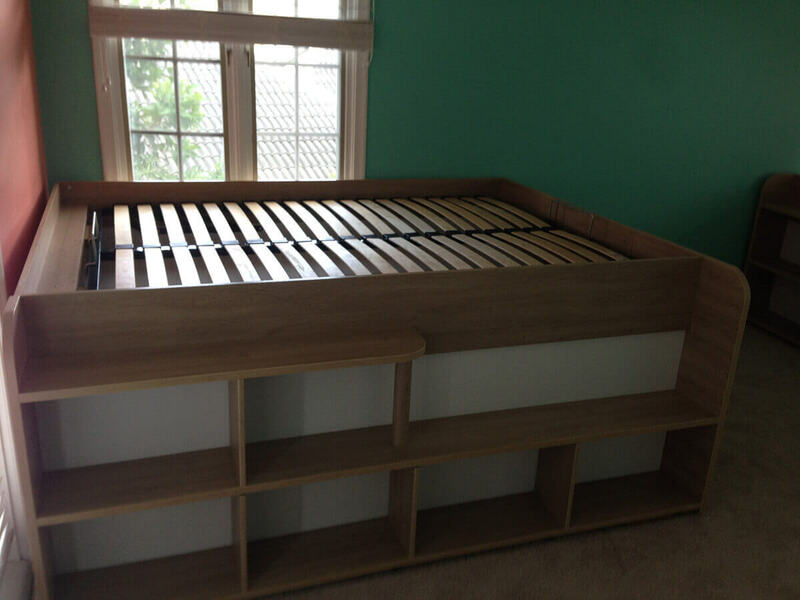 RAISED BED: At almost 34” tall, this bed is fun for kids and teens to sleep up high without a bunk bed set! HEAVY DUTY CONSTRUCTION: Made from heavy-duty laminated white particle board that won’t easily break, bow, scratch, chip or discolor. 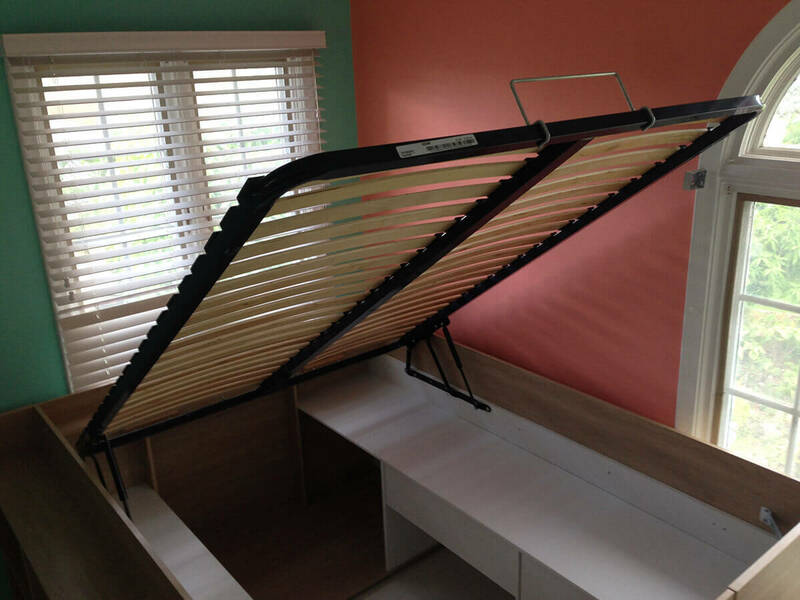 EASY-LIFT MATTRESS MECHANISM: Designed with a one-hand mechanism that allows the mattress to lift so you can go into the under bed storage area. 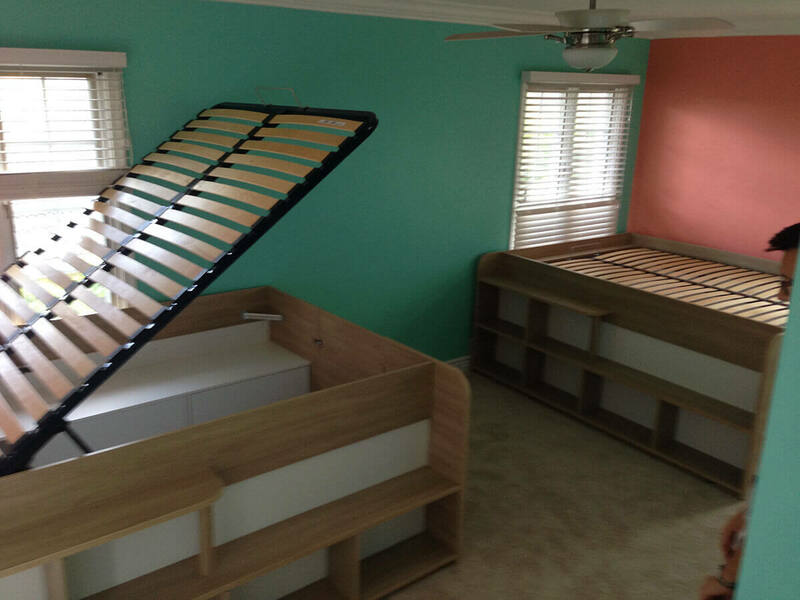 CUBBY SHELVES OUTSIDE: There are lots of cubbies for books, toys, and treasures, and can be used to step up into the bed too! 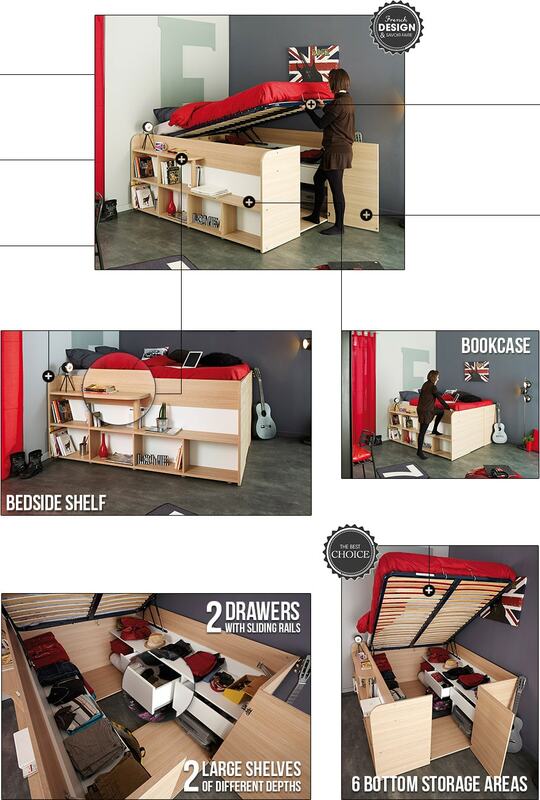 MAXIMUM STORAGE INSIDE: The hidden treasure of the Space Up bed is the hidden storage area underneath. 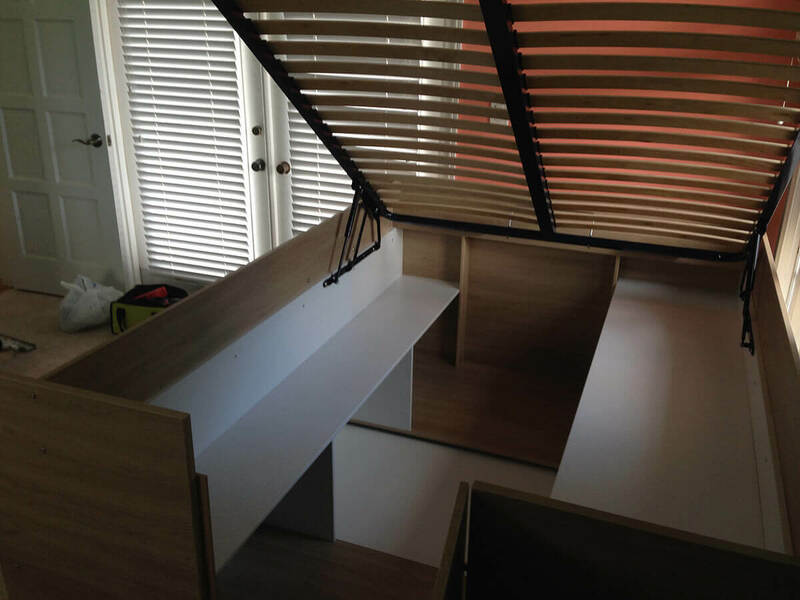 There are shelves and drawers to store clothing, shoes, and other essential items in a neat and organized fashion! No. 55 in Top 100 Most Innovative Products this Year! Assembly manual	Read the assembly instructions in the manual before starting. Identify the parts of your furniture. Delivery Your order will be shipped in 2 days from order date, and usually arrive within 3-7 business days depending on your location. 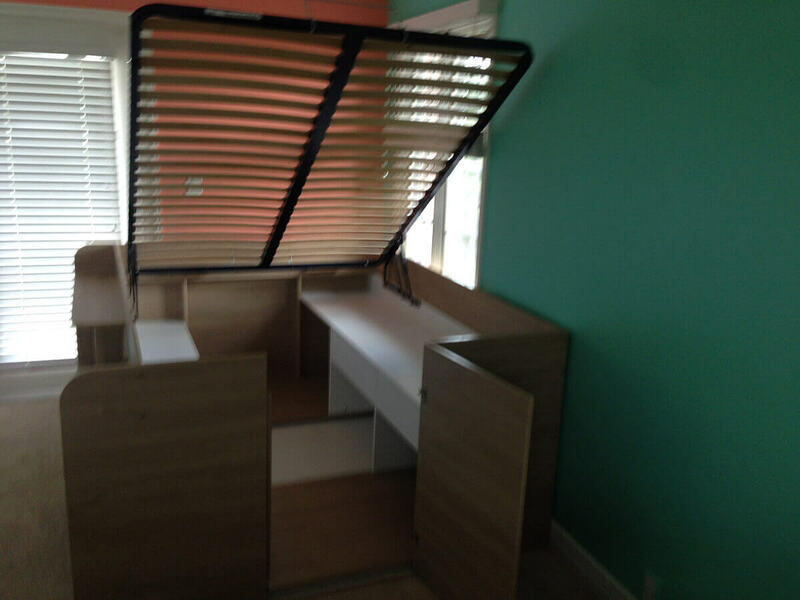 Any items ordered together with any BED will be delivered FREE of charge. Packing cases in plastic, cardboard, metal, glass and paper can also be disposed of at collection points. Clean, modern and versatile .. 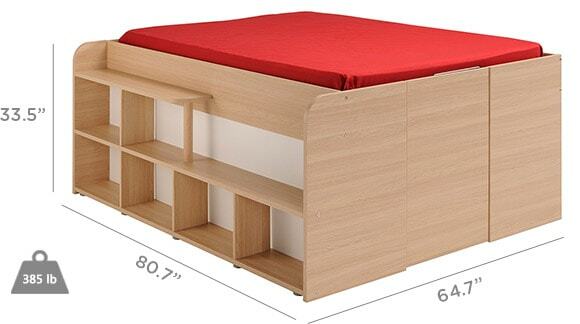 Optional Table for Multimo Wall BedsFOR HORIZONTAL WALL BED MODELS (A202 SPAZIO, A205 PENSIERO..